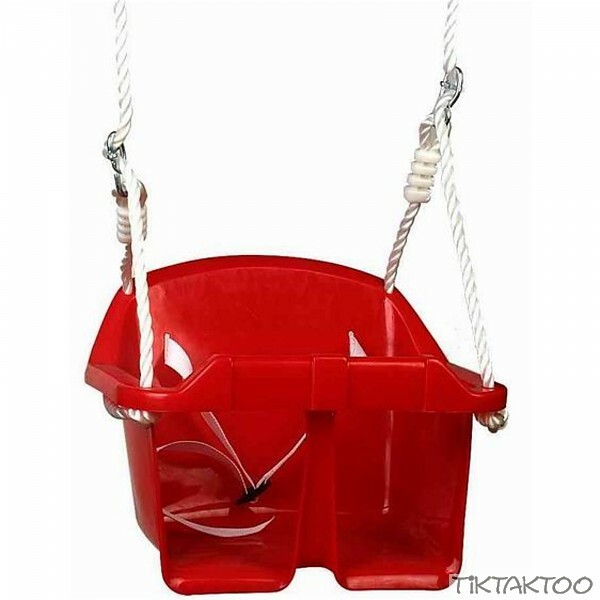 Weather-resistant baby swing seat with safety belts. Made of injection-molded HDPE plastics. Comes with 10 mm PP ropes, galvanized steel rings and eights (ropes are adjustable). Ideal for swing beams between 2.05 to 2.50 metres high.